We often find a problem in unlocking the DRM copyright encryption from purchased and rented iTunes M4V movies or TV shows. It is hard to convert DRM-ed M4Vs and all DRM-free videos to common MV4, M4V, and MOV etc. TunesKit is an all-in-one solution for this problem. TunesKit DRM M4V Converter for Windows is a professional iTunes DRM Removal tool that can remove DRM from iTunes M4V Movies, TV shows which you purchased and rented from iTunes by converting the M4V videos to DRM-free formats and popular mobile devices. 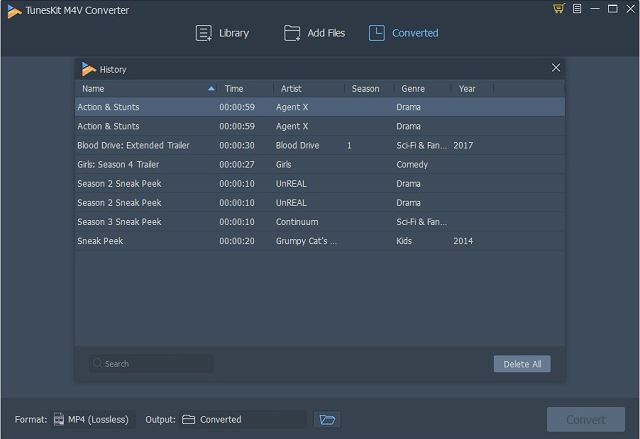 No loss occurs while converting the format using this tool, also the original audio tracks, subtitles, including AC3 Dolby 5.1 surrounded audio, CC, etc. are retained hundred percent. This product from Tuneskit is made to support all types of devices from Apple to Android to windows. It also supports all types of video and audio formats like MP4, MP3, AAC, M4V etc. TunesKit M4 Drm Removal for windows helps users to convert DRM protected iTunes M4V videos, including movie, TV episodes and music videos to common MP4, MOV, AVI and other popular video formats. Not only to DRM videos but it also serves as a complete video solution to convert non-DRM videos such as M4V, MP4, FLV, and WMV to other popular media formats. TunesKit offers an inbuilt video editor that helps the user to edit or trim the final video according to their convenience. It allows users to add subtitles or to add small video clips in the video. Besides, users are allowed to customize video parameters like video size, etc. With advanced DRM decrypting technique, TunesKit DRM Media Converter can remove DRM lock from iTunes movies. It also ensures that the quality of audio and video is not hampered and is protected. The use of this tool is simple and easy, also it comes with a regular upgrade option which enhances the tool each time it is upgraded. When using any tool, it is important to know how to use the tool. 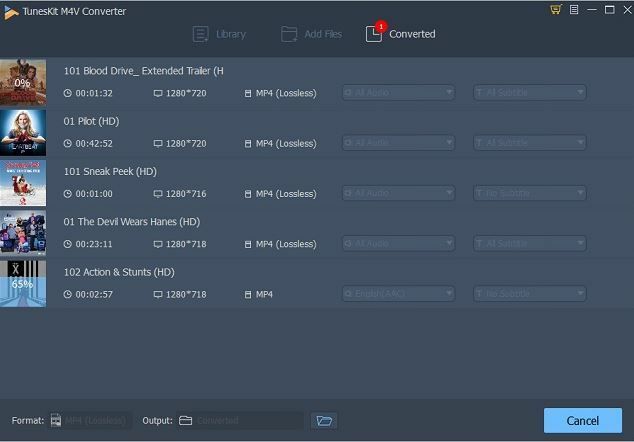 The following steps will tell you how to use DRM media converter tool in a very simple & easy way for M4V DRM Removal. 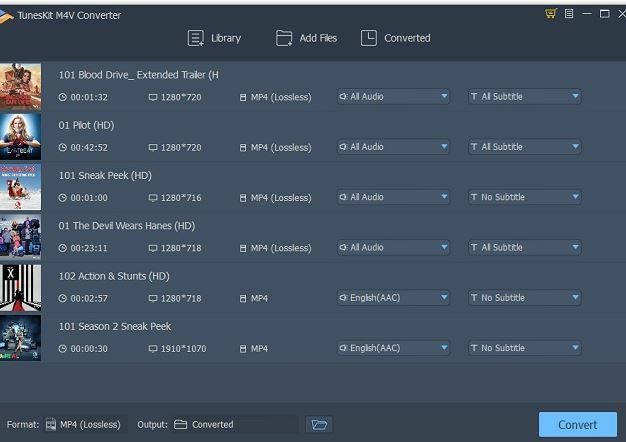 When the M4V converter is correctly installed in your device, the first step is to import the iTunes M4V or non-DRM videos to TunesKit.To import to TunesKit, click on “Library” button, a list of all the audios and videos will appear, click on the file you want to import and click on “OK” button. If you want to convert DRM-free videos, then you should click the “Add Files” button at the top center. STEP 2: Select Output Audio Tracks, Subtitles etc. Once you have imported the file, you have an option to choose the audio and subtitles of your choice. You can choose all audio or no audio according to your wish. Once you are done with audio and subtitles, click on “Format” to choose the output format of the video. It provides you with many options. You can choose Lossless Mp4 or Lossless M4v or any other format. Click on the “Format” panel at the bottom left corner, a pop-up window will open that will give you many options like MP4, M4V, MOV, etc. Also, it will give you an option to pre-set your device like Samsung, iPhone, etc. Choose the formats according to your wish. You can also change the parameters like bite-size, video-size, etc. TunesKit also gives an option to edit the video. You can go to the “Edit” option and can edit the video accordingly. 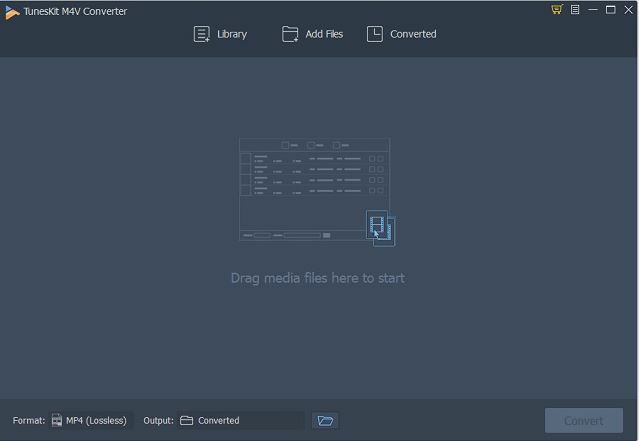 When everything thing is done and the video is ready to be converted, click on the “Convert” button which is there at the bottom right of the converter. After everything is done, you will get an unprotected iTunes movie. Before copying them to another file for playback, you can check the video by clicking on the “play” button next to the video; the TunesKit will play the video using its own player. With this, your video will get free from DRM. Then you can watch it anywhere on any device which you want. It offers same products for MAC as well. TunesKit has launched an all-in-one solution for windows and MAC users who find trouble in M4V DRM Removal and DRM free videos to common MP4, MOV etc. It is easy to use and very helpful tool. 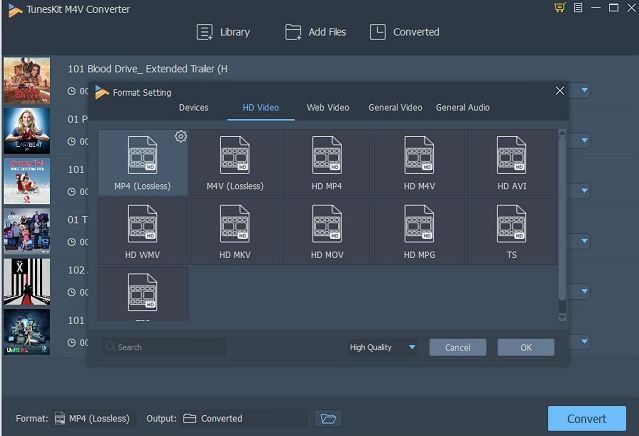 This tool maintains the original tracks and subtitles and does not alter video’s quality. The developer guarantees that if the users don’t find the app worthy, the money would be returned to them. They offer a 24/7 customer support so, if anyone finds any problem using the tool, then they can directly contact the company for getting it resolved by their well-trained support team. Summing up it in one sentence, TunesKit is a must try software. This software is a solution to all your problems with M4V DRM Removal.